The body of the former UN Secretary General Kofi Annan will lie in state today at the International Conference Centre in Ghana’s capital, Accra, to allow fellow Ghanaians to pay their last respects. It arrived at the city’s international airport yesterday evening from Switzerland ahead of his official burial ceremony tomorrow. Diplomats, government officials, traditional leaders and other dignitaries will also pay their last respects. 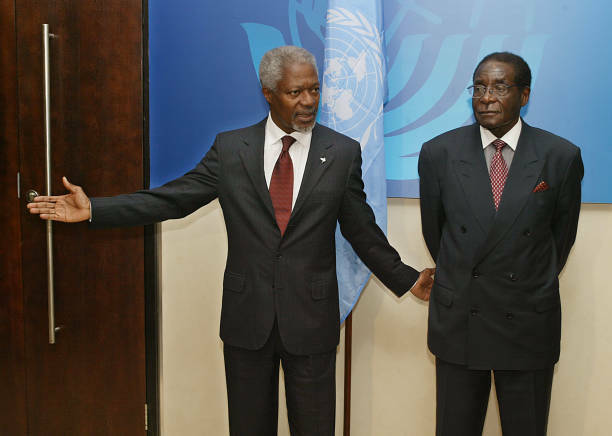 Mr Annan, the first Sub-Saharan African to become UN Secretary-General, died on 18 August aged 80 after a short illness.